HistoricalTrekking.com :: View topic - Karl Koster? Posted: Fri Feb 05, 2010 1:57 pm Post subject: Karl Koster? Karl could you post some pictures of some of the necklaces that your bead man makes for your events or sites. OR if anyone else has some that are period correct. 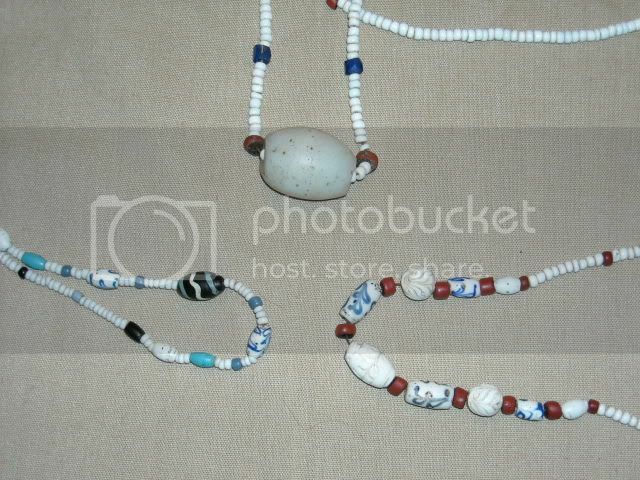 I think I have looked at or for Jeffs site and there is nothing on there of any necklaces. I would appreciate your help with this. tent ropes with loops spliced available. Thanks,,,,, Karl I went to his website and he has no necklaces like you have talked about. I would like some help from someone that has bought some of these and can take a picture of them and post them. Otter I sure would like some pics of old chairs. I bought some ladder back chairs and will post some pictures when I get some taken. Tiny here are the necklace photos of the site beads us furtrade geeks all crave! !